Masterchefs Hospitality, one of Ireland’s leading Corporate & Event Catering Companies, provides award winning, quality food using locally sourced artisan ingredients. 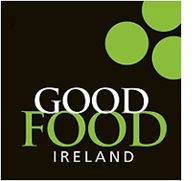 Awards include Ireland’s Event Caterer & Ireland’s Supreme Caterer at the Keelings Gold Medal Awards 2015 and more recently Ireland’s Industrial Caterer in 2016 for The Pavilion UL. Offering professional service team to facilitate contract catering, event catering, wedding catering, corporate and outdoor catering. Consistency is the key to their success and the reason why so many of their clients are repeat clients. Masterchefs Hospitality is an instantly recognisable catering brand, synonymous with quality, innovation & attention to detail. Over the years we have successfully catered in most of the countries prime locations and have a proud history of catering for some of the most prestigious social events. Our portfolio of services range from contract catering, event catering, weddings, corporate and outdoor catering. Masterchefs Hospitality can cater for any event and provide a ‘bundle of benefits’ with every service, such as event management, interior design, menu advice & tasting and much more. Events with Masterchefs Hospitality are renowned for exquisite cuisine and polished service. Our experienced catering team are dedicated in providing the best hospitality and presentation for every event, our professional chefs use the finest local ingredients to provide the most sumptuous mouth watering menus. And that’s not just lip service, in 2013 we opened the Artisan Food Factory, a food facility dedicated to hand making every product we serve to our customers from ingredients sourced where possible in our geographical area. Our Multi Award winning sister company Café Noir offers a French Style Cuisine with an Irish twist. Since the opening of the first Café in 2008, Café Noir has successfully grown over the past few years and there are now four Cafés in Limerick. Nourish My People is another brand of ours, this is a healthy food delivery service. You order online, we cook your healthy meal using fresh and local products and deliver it to one of our 5 locations in Limerick city. You then can collect your meal and take it back to the office for lunch or take it home for dinner. Healthy eating, made easy.